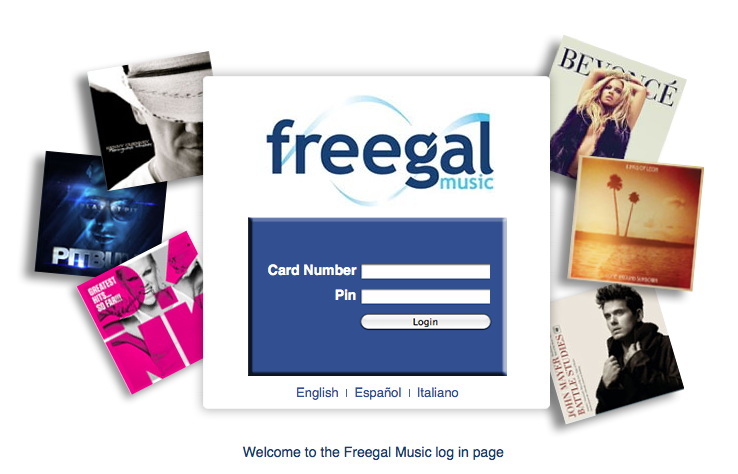 OK, one of my friends was having trouble figuring out how to use Freegal so I thought I'd put up some visuals. Your library may work slightly differently, but this should be the basic method. 1. 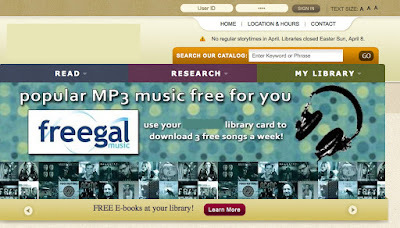 Go to your library's website and find Freegal. 2. At my library, you go to the "My Library" menu, and then choose "Freegal." 3. Enter your library card number and library PIN. 4. Enter in the artist (or other search criteria) of your choice. You can download 3 free songs each week. When you've downloaded your 3 songs you will see a message "Limit Exceeded." That just means you have to come back next week (Monday at 12:01 AM Eastern time) for more music. 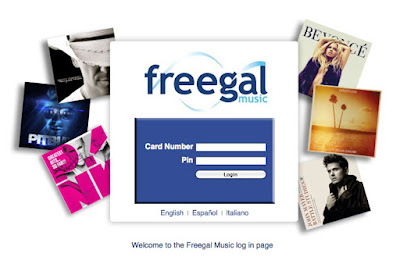 I have a list of some of the Christian artists on Freegal here. Look! I saved you $3/week! You know what you can do with $3/week? Buy my book. Or more seriously, pocket it or give a couple extra bucks to charity/your church. Enjoy!